The superhighway of wellbeing starts with your fuel, and it’s a lot easier to create wholesome food, and feel good about doing so, if your kitchen has adequate storage, easily accessible pots and pans, and the room itself is well arranged. This isn’t about creating show off, look-at-me kitchens though. After all, eating is seldom about display, rather it’s about recognising the importance of the kitchen at the heart of our health, as well as our homes, and working out what can be done to help both along. The thing is, kitchens don’t have to be complicated, but they do need to work. 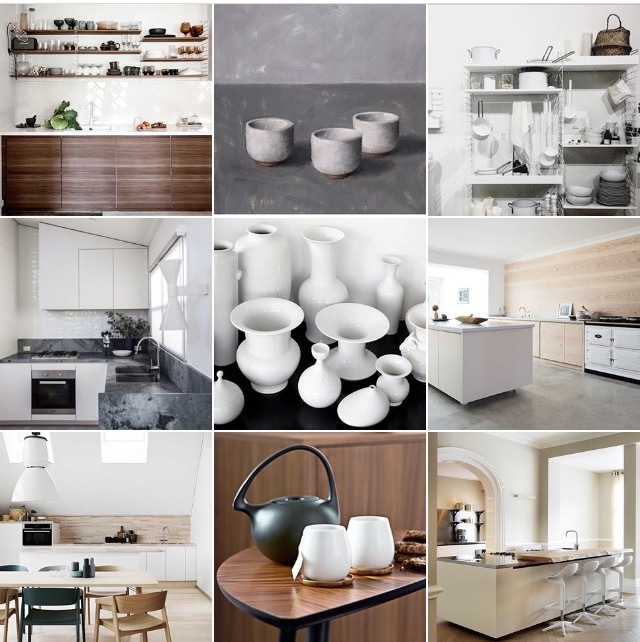 So herewith, to get you started, my personal check list of things to bear in mind when planning, updating or refining any kitchen. 1 People tend to put the sink in front of any windows. But consider this, you probably have a dishwasher, so you’re not standing in front of the sink for extended periods anymore, which was traditionally the point of giving yourself a view in days of yore, ie enabling keeping an eye on children playing in a back yard. Today, I suggest either your hob (see below), or the space between sink and stove, as your default viewing spot, as this is where you’ll probably spend most of your time. 2 I read once that kitchen worktop space should be minimised as it just ends up as a magnet for non-kitchen related “stuff”. To an extent this is true, but I think this is more a factor of inadequate storage elsewhere than a need to restrict surface area in the kitchen. It pays dividends though to think ahead about the things that could genuinely clutter your countertop: microwaves, bread bin, kettle, cutlery, bottles of olive oil? Do you have enough room for all of it? Or will more wall cupboards make sense. Or consider giving up one unit of worktop for a cupboard that stretches from floor to ceiling. 3 Always add in twice as many sockets as you think you’ll need. Enough said. 4 And don’t forget to allow ample space for waste disposal. With a need to separate out our paper from glass, if not vegetable peelings too, and for some the requirement to hold onto it all until a specified collection day, it’s increasingly important to seriously consider where it will all go. Buckets of rotting food on your worktop is not a good look. Neither are overflowing bags of old newspapers. IKEA do some great inexpensive waste sorting bins that fit in their drawer systems, but you still need cupboard space to house them, or else a nook to hide them away. It’s not factoring in things like this that can scupper even the most glorious of cook spaces. 5 Save costs on your units if needs be, but never your worktop. In many kitchens this is the most visible bit, being a horizontal surface that’s completely on show, and therefore it’s the element that has the most immediate visual impact. It’s the finishing touch that makes the look, so it also needs to weather well. As far as I’m concerned it should be one of the first things you think about, from both a budgetry and aesthetic perspective. To draw a fashion analogy, it’s a bit like the little black dress that’s lifted to new heights by an utterly fabulous pair of shoes — this is the effect a great worktop can have. In my homes over the years I’ve always used Corian because it can be formed in any shape you desire (think fully integrated, curved splash backs and inset sinks), is seamless, practically indestructible and it comes in myriad magnificent colours. 6. Don’t neglect your splashback. Following on from the above, this part of your kitchen design is akin to tying a beautiful ribbon around your finished prize. So if it’s not integrated with your worktop, why not have some fun with it. It’s just as easy to tile in coloured stripes as it is to use all the same colour, but oh so much more striking, especially if paired with a complementary wall colour. And check out this post for some other great splashback ideas. 7. Clutter is never your friend, but nowhere more so than your kitchen, so step one for any serious kitchen reboot is a ruthless audit. Have you fired up that ice-cream maker, ‘Nutribullet’ or spiraliser in the last six months? No. Then get rid. The path to wellbeing starts by surrounding yourself only with things you use, or love. It’ll make you happier, I promise. First published as my Editor’s Letter in the April 2017 edition of ELLE Decoration.